I don’t know why anyone would give a flying fig about my whereabouts, but I DO know I’ve had my own personal safety blogger moments and am frankly unwilling to be bait for someone’s pranks, so color me incredulous when Facebook once again set my default geolocation settings far beyond “Only Me.” Not quite a Beacon privacy breach, but still danged arrogant if you ask me. Yep, I started out my morning of media moments wanting to ‘chuck it all’ and “go off the grid” on a digital hiatus from humanity itself. From this morning’s Twitter tabula rasa/wiped slate data access vanishing act in Casper the ghost style to fiddling with how to disable Facebook’s “Places” location feature on their newly premiered check-in vehicle, I definitely needed a dose of “grouch be gone” lest I take this great NYTimes article literally and “go outdoors and out of reach” pronto! Still, with marketers salivating over consumer location-based data (Places premiered yesterday) I find myself mumbling about the clueless arrogance of mega-media moguls. Why, social media pros, I ask you (seriously!) would Facebook CHOOSE to make parenting more difficult for those of us who are TRYING to maintain a modicum of balance and enthusiasm with media literacy while staying up to date by the nanosecond of everchanging digerati whims? Why, oh, why, pray tell must we once AGAIN teach teens how to ‘opt out’ of sharing their location with friends and re-adjust their privacy settings so THEY control them? Why do we need to ‘stay on top’ of media by being circumspect instead of collaborative? In many cases, it’s the YOUTH teaching the PARENTS how to ‘turn off’ certain settings or older siblings protecting younger siblings with defaults that enable limited access. If Facebook is going to play sharks and minnows by gobbling up any competition that stands in the way of an alternative OPEN source platform like Diaspora then the least they can do is show a wee bit of behemoth decorum and play nice in the digital sandbox instead of acting like arrogant twits to continually put teens in harm’s way. 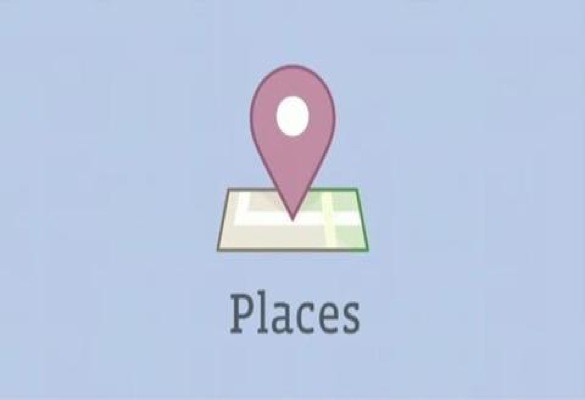 What’s my rub with FB Places? 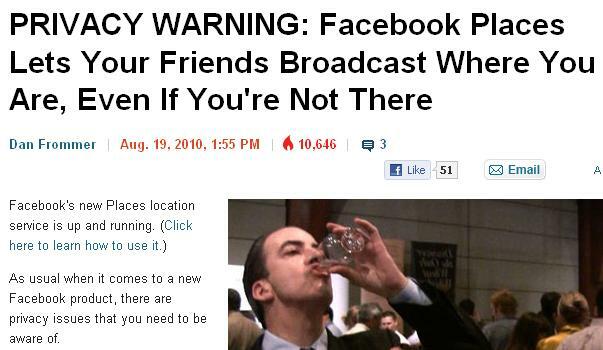 For starters, do you REALLY want a casual FB friend/frenemie posting your whereabouts unbeknownst to you? What about pranksters that think it’s funny to ‘set you up’ by ‘checking you in’ where you are not? Or with someone else’s date? Gee, the new Frontline SMS BullyProof mobile app would need to add an entire new layer of anonymous reporting for location based mobile/social “uh-ohs” and MTV’s great peer to peer bullying prevention campaign, “A Thin Line“ would probably find that line crossed repeatedly in the teen sphere of virtual stage-‘where are you really’ geotagging and gamesmanship. Wow, Facebook, did you learn ANYthing from Beacon? Recall “Your peepin’ is creepin’ me out” and the flood of stories from our “dare to share” post? But still…To me, as a parent, the testicular fortitude (aka sheer cajones) of such ‘in your face’ digital doings is really NOT necessary unless your aim is to prove ‘anything for a buck, Zuck’ is flying in the face of public opinion and figures it’ll go unnoticed. On an upbeat note: HURRAY for Humanitarian Day!!! This upbeat, fun collaborative film produced by David Ohana of the UN Office for the Coordination of Humanitarian Affairs (OCHA) is media and crowdsourcing at its best. Shot in over 40 countries in under 9 weeks to showcase the enormous diversity of places, faces and endeavors of humanitarian aid workers in 2010, it’s a tribute to service learning and those who want to “DoSomething” throughout the globe! It was filmed by humanitarian staff and freelance filmmakers from around the globe (over 50 contributors in total) with all time donated, made on a shoestring budget! Glympse: Temporary Geolocation For Free Range Kids? As I look at “how I will appear” on Facebook “places” I see they’ve got me positioned in Golden Gate Park, San Francisco, which is “close but no cigar” to where I actually am this morning – nevertheless, I am also seeing that several people who I do not know are showing up on my list. And yes, it was checked when I looked at my settings. I unchecked it. I would suggest that Facebook should take one last stab at solving this, and that what they should do is provide a “Make my Account Opt-In-Only” checkbox that causes new features to remain undeployed in an account unless we specifically and actively select them. This might not fit the FB business model perfectly, but their “brand” gets a little more tarnished each time there’s one of these privacy-related events. I am with you on the Facebook issue! I actually started disabling my account a couple of months back, but am too embedded with it for work purposes. I have, however, been able to pull a great deal of personal information out of it. I just don’t trust the Faceless Facebook anymore! “…Hey, Foursquare, a social network with about 250 times as many users as yours just incorporated your core functionality and even co-opted the term “check-in” that you’ve been trying to trademark. Is it time to move on? Not so fast. Foursquare founder Dennis Crowley tweeted a few days ago, “Call from my 86 yr old grandma: ‘Hello. I want to know if this Face-Book is like yours. It sounds like Four-Squared, but without the fun. '” Grandma Crowley, apocryphal as she may be, speaks the truth. Foursquare is still more fun, and probably always will be compared to Facebook Places. That means a lot, for now. 1) It’s not easy to tell on Facebook Places who’s near you. Foursquare now includes maps to plot your friends’ whereabouts, and in general it’s better at detecting who’s really nearby. Facebook’s algorithm currently places too much emphasis on how closely connected it thinks your friends are to you, but if a close friend I’ve known for half my life checks into somewhere in Iowa, that won’t matter to me when I’m in New York…. My reply to the Foursquare comparison? For me, it’s a no brainer, FB lost me at three strikes…and that was somewhere around the Beacon brouhaha. There is so much potential for abuse with Facebook Places. I’ve thought of several ways this could really come back to hurt people. On the other hand, Foursquare does have a lot to worry about. With Facebook’s desire to be the “internet” itself to most of the world and hence control much of the websites businesses have, I think Foursquare could get pushed right out of the picture. James recently posted..How To Disable Facebook Places and Why You Need To! Make my Account Opt-In-Only” that causes new features to remain undeployed unless we specifically and actively select them.” is a great big ‘duh’ for them, but it’s also what pushes me into viewing them as a Gordon Gecko wannabe in “greed is good” corp mentality instead of a benign oversight, since we all know, this is how they play. If I was walking the red carpet at the Oscars I might want the world to know it but I see no reason anyone should know that I’m at the grocery store, bank, or heaven forbid, my child’s school. Yes, the internet connects us all, but that doesn’t mean we have to give up all privacy. Just downloaded it on my iPhone and enjoy it! It looks like SCVNGR is SO much better than Foursquare mainly because of the game dynamics that they’ve built into it. Now they just need to build up their user base because not a single person I know is using it. 🙁 I’m guessing that Foursquare will simply add on some of the features that SCVNGR has in order to compete.